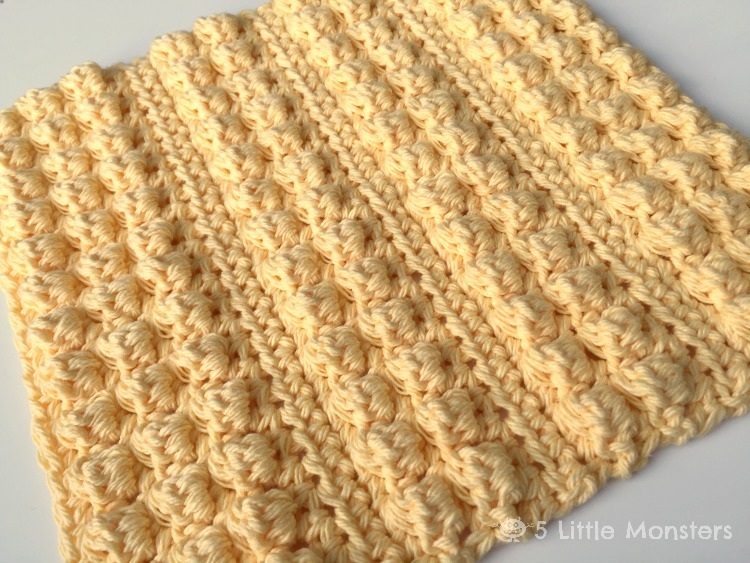 It has been a while since I posted a new dishcloth pattern so I thought it was probably about time that I did. 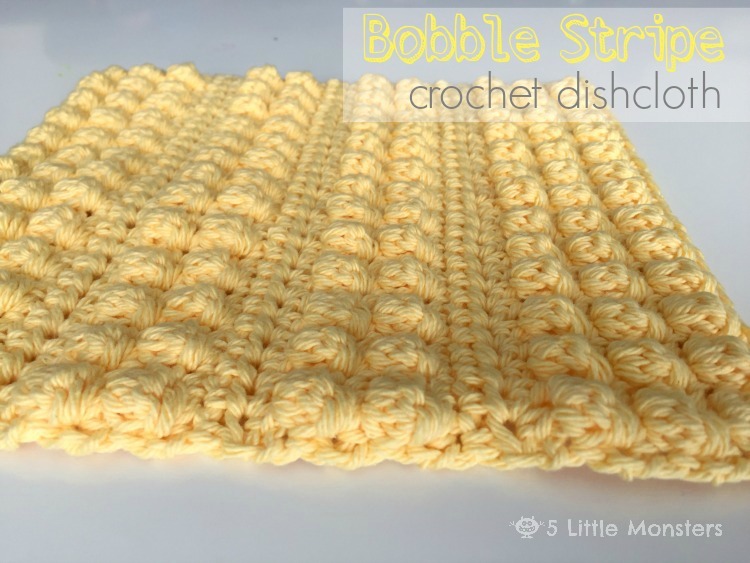 I wanted to use the bobble stitch and have it be really bumpy but not necessarily solid bobbles so I came up with this design that alternates sections of bobble stitch with a couple rows of half double crochet. I thought it would add some nice texture and contrast between the sections. 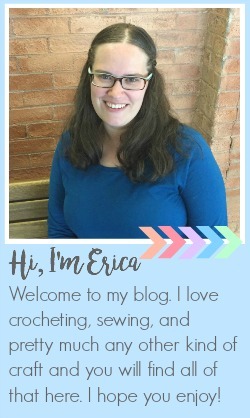 This month is National Craft Month and Jen from 100 Directions has organized a series where lots of different craft bloggers are sharing projects based on weekly themes. 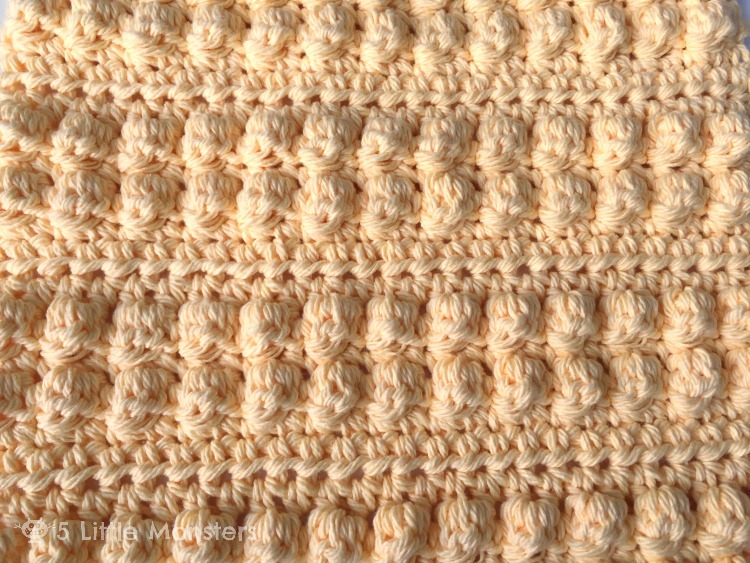 This week the theme is Fiber Arts & Crafts so we could do anything using yarn, fabric, string, anything like that. 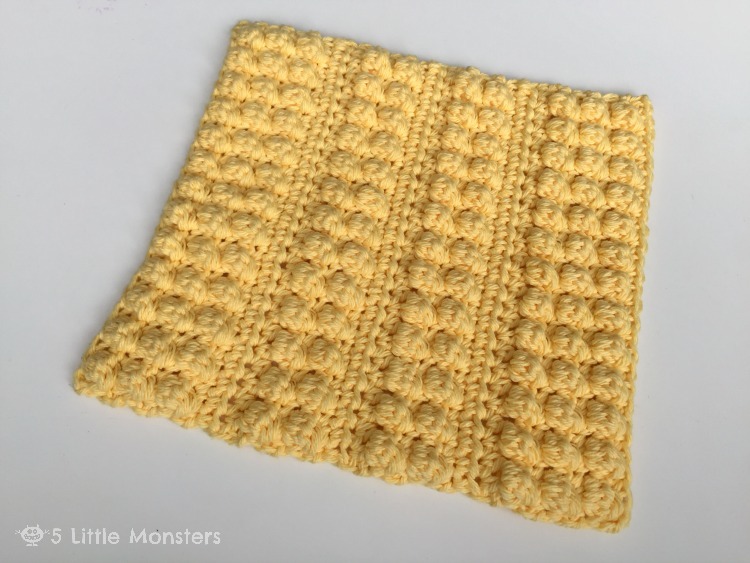 Well, in addition to being National Craft Month it also happens to be National Crochet Month so I decided that for fiber craft week I needed to make a crochet project. 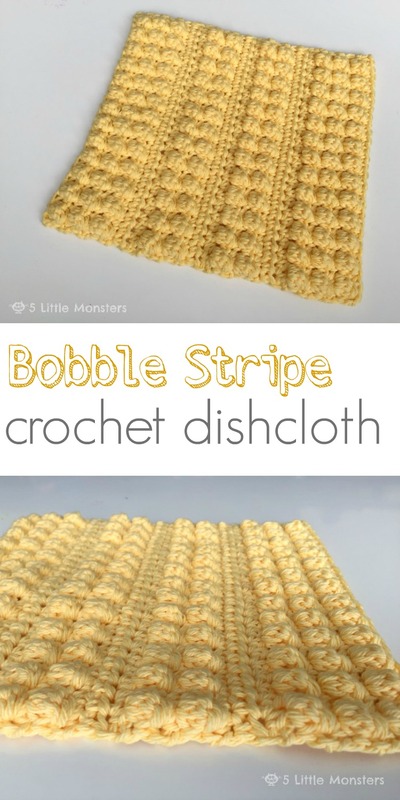 Dishcloths are such a quick and easy project all you need is a ball of cotton yarn and a crochet hook.